Printed by C.W. Whitehead Ltd., Preston circa 1980. Frontispece has a sketch of Brades Farm, Freckleton 1796. (The residence of the author, originally bought in 1918 by the author's grandfather, William Whiteside). 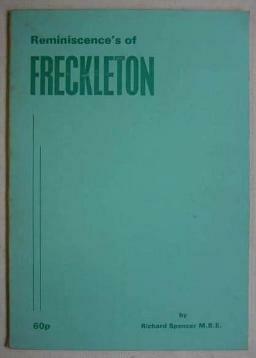 A brief and entertaining history the author's life, of the town of Freckleton in Lancashire, and the surrounding area.